Let us accept that military procurement is difficult. There are reasons that obtaining equipment for the Armed Forces is not easy. However, the difficulties involved are known, making it easier to avoid the most obvious mistakes. Those who study this subject have suggested that the trend can even be defined as the tendency to underestimate the time, costs, and risks of future actions and at the same time overestimate the benefits of the same actions. According to this definition, the planning fallacy results in not only time overruns, but also cost overruns and benefit shortfalls. But because these problems are identified they can be curbed. Using a technique known as reference class forecasting the effects of the planning fallacy in decision making can be eliminated or at least reduced. By identifying a reference class of past, similar projects, establishing a probability distribution for the selected reference class and then comparing the specific project with the reference class distribution, a most likely outcome for the specific project can be estimated. Another common problem is the standard procurement practice of trying to ensure maximum capabilities for a new weapons system. Unfortunately this emphasis on pushing the edge of the envelope means that requirements grow and as they grow they become more complex which in turn means that the contracts for these systems become more complex to ensure accountability. As contracts become more complex the time necessary to fulfill them grows, as the time needed to fulfill the contract expands the requirements change, resulting in a renegotiation of contracts. A cycle develops in which the supplier throws more people at the new problems created, the time lines increase, the budget increases and deliveries slow. The growth in the complexity of procurement contracts can have far reaching effects. The larger and more complex the contract, the harder it can be for smaller firms to compete, which in turn means that those smaller firms will have to subcontract bits and pieces of the work from the few big defence contractors. This is particularly relevant in Canada where many firms in the Defence industry are too content to be suppliers for projects run by U.S. mega-corporations and don’t see a place for themselves as prime contractors. If these potential problems are recognized there are solutions at hand. If the goal is to deliver an affordable system that’s available when needed and effective when used then a start can be made by acknowledging that adding more requirements and more cost simply leads to over-priced, over-engineered goods that have more points of failure and are more likely to fail when you need them most. There is a direct correlation between big teams with big budgets with lengthy schedules and failure. Conversely, significant successes are achieved with small teams, short schedules, tight budgets and realistic goals. Making these changes will require a cultural shift. For many, complexity equals sophistication. Managing high cost programs bring prestige. For some there is money to be made on large, slow, expensive projects where costs can be added in to each stage of the process. A change from valuing the most advanced, complex, expensive system to valuing a system that is affordable, effective, and available can be a cultural shock to those invested in a different paradigm. One way of easing the shock in this shift of emphasis is to recognize that reducing requirements and increasing speed will not lead to an inferior result. Technological change is the driver in this case. In a world in which a two-year-old phone is outdated and a ten-year-old computer is antique, a five year, let alone a twenty year, contract will only serve to lock in obsolete technology. The alternative is changes that come so often that the whole thing becomes an exercise in futility. The CH-147 Chinook medium lift helicopter program is a case study in how a procurement project should not work. Almost everything that we have identified as being counter productive in weapons systems acquisition can be found in this program. 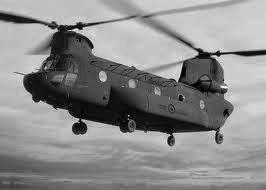 In 1991, Canada’s CH-47 Chinook medium-lift helicopter fleet was sold to the Dutch. The belief was that they cost a lot to maintain and operate and, at the time, they didn’t seem like a priority. This belief was subject to change however. In 2002 Canada became involved in the conflict in Afghanistan. The Armed Forces had no helicopters capable of operating in the hot and/or high-altitude environment of southern Afghanistan. To support its 2,000 or so troops in Afghanistan, Canada had to rely on favors from other coalition countries, including Dutch pilots flying the former CH-47 Chinooks. In June 2006 the Canadian government announced a $ 4.7 billion program to purchase 16 “medium-heavy” helicopters for military and “disaster response” roles. In the end it took 21 months after this helicopter program was announced before a sole-source RFP was even issued. Under pressure from the terms of the Manley Report, and unable to provide helicopters through the program previously initiated, the DND arranged to buy CH-47Ds already in Afghanistan from the US Army. Six CH-147D helicopters were handed over to the CF in Dec 2008 to be operational in Feb 2009. According to the DND announcement in June 2006 the estimated total project cost for this aircraft acquisition was $ 2 billion plus an estimated contract value of $ 2.7 billion for 20 years of in-service support, a contract to be completed by the winning contractor, with work largely to be done in Canada by Canadian mechanics and contractors. As with other contracts in the series, the winning contractor was expected to provide total industrial offsets equal to at least 100% of the contract value. The Canadian Department of Public Safety was also part of the purchasing process, as they expected the aircraft to be used to respond to natural or man-made disasters. It was originally expected to award a contract by July 2007. The problem arose when DND worked with Boeing to develop a detailed statement of work. These continued to change, and by March 2007, Boeing informed DND that the additional requirements would create both a delivery delay of 12 months, and cost increases of about USD 360 million in one-time engineering costs. CH-147 changes from the standard CH-47F included enlarged ‘fat tanks’ developed to give US Special Forces Chinooks longer range; a new electrical system based around twin 60KvA generators, producing 2x the electrical power; a new cockpit avionics suite; and “standard” special forces additions like a rescue hoist, surveillance and targeting turret, etc. DND responded by trying to stay within its authorized spending limits, and didn’t finalize its requirements until 2009, when the contract with Boeing was signed. That contract includes a provision for Canada to receive some royalties, if a future customer purchases the Canadian CH-47F version. Once the final contracts were signed, estimates of C$ 4.7 billion in 2006 had risen slightly to C$ 4.9 billion by 2010, for the helicopters and their accompanying support contracts. In 2010 the Office of the Auditor General released their 2010 Fall report. It reports that the procurement process itself was unfair, and that DND kept senior decision makers in the dark about major changes to the project and its costs. There is no doubt that the CH-147F Chinook is a formidable aircraft. But the truth is that the program to procure this capability was unable to provide the right aircraft at the right time in the right numbers at the right price. It was a failure. A lesser, but serviceable aircraft, in the form of the standard U.S. Army CH-47 was available, at a known price, in a reasonable time scale in the right numbers. Canada’s inability to achieve this simple goal, even under war-time conditions, stands as an indictment of our military procurement system.